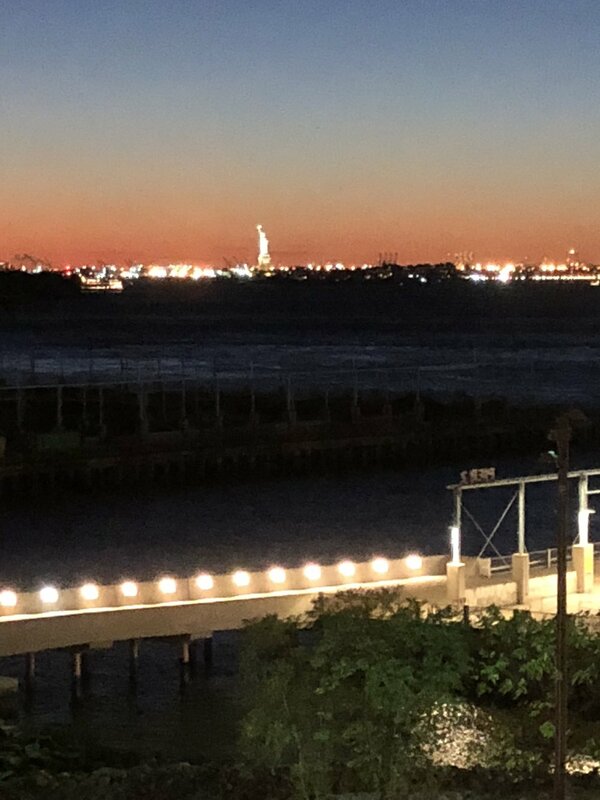 Last Friday evening I was wandering along the Brooklyn waterfront, when I looked west across New York Harbor and into the setting sun and saw the mystical sight of the Statue of Liberty lit up against the evening sky. It stirred in me a sense of pride in my country I hadn’t felt in a while, believing as I do with Samuel Johnson that "patriotism is the last refuge of a scoundrel” (although it’s worth remembering in this age of red baseball caps that, according to James Boswell, Johnson’s biographer, he was not criticizing “a real and generous love of our country, but that pretended patriotism which so many, in all ages and countries, have made a cloak of self-interest”). Too often we mistake our aspirations for our history – and we congratulate ourselves for the promises our country has made and ignore the ones it has not kept. And so, saying they make us weak and are incompatible with our drive for power, we throw out our aspirations – and then, before we realize it, what was once a vital if imperfect republic has become a stagnant and unjust empire.